There’s only a few days left before Dhul Hijjah rolls around and I’ve been feeling a bit uninspired to create something for this years activities with the cookie monster. So I took to the internet to get some much needed inspiration and thought why not share my findings with you. 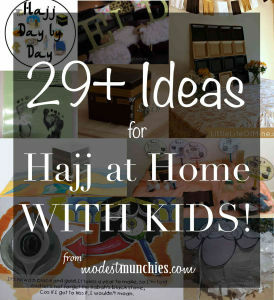 Here are my 29+ ideas for Hajj at home WITH kids. 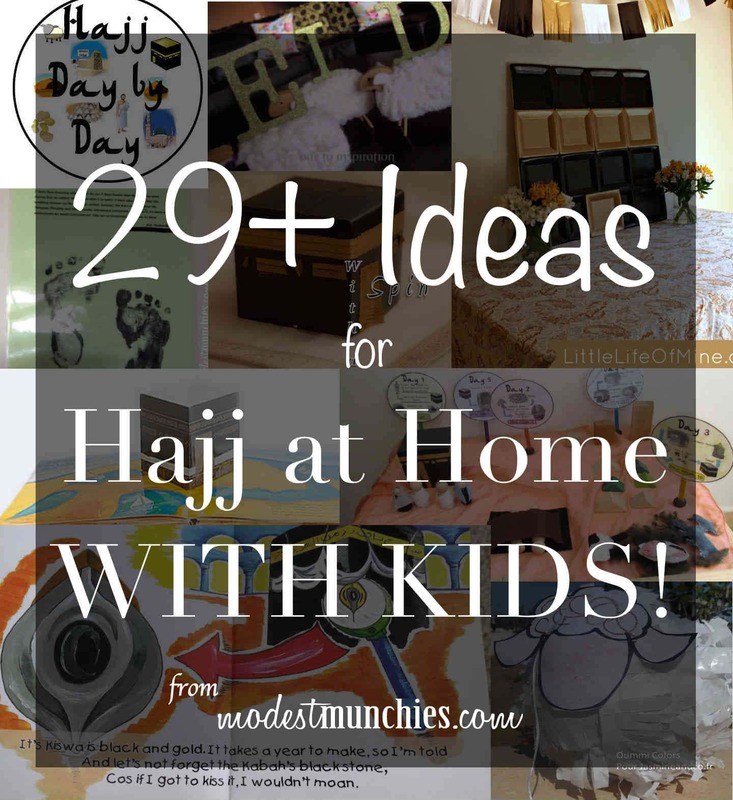 Let’s kick this post off with some Hajj craft and activity ideas. 3. These Hajj day by day printables from Islamic Bulletin Board are great, just print them off and you have an easy, simple way to explain Hajj to the kids. 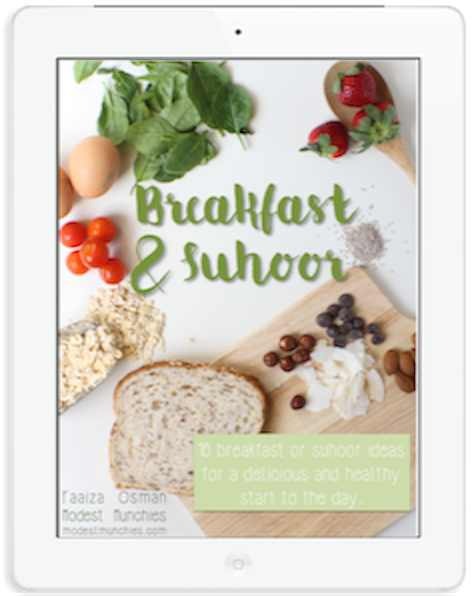 Check out their site for other great Islamic printables. 4. 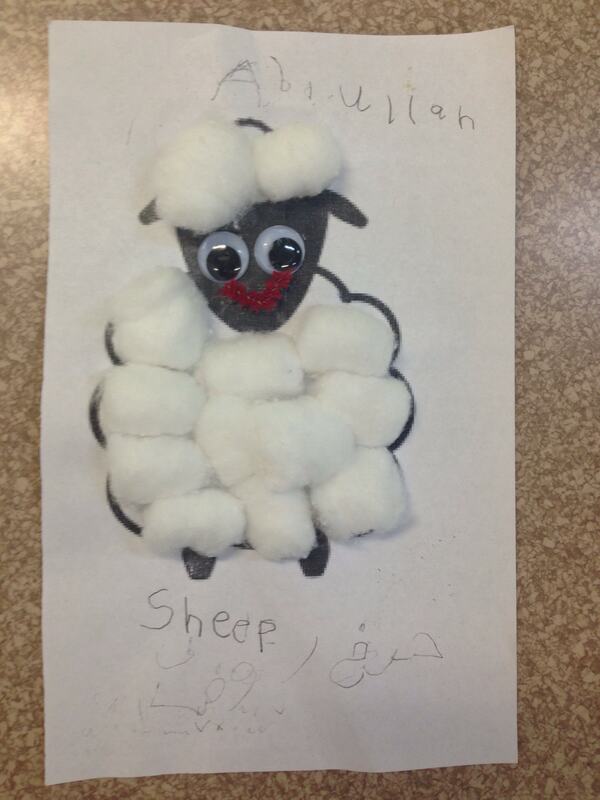 I adore the look of this Hajj poster from the Muslim Learning Garden. So cute and crafty. Full instructions are on their page. 5. 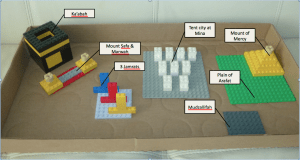 They also have this lego Hajj Diorama. Definitely something to think about including this year, especially since the cookie monster is into Lego building at the moment (we’re still on the Duplos). I just wonder if he has enough black blocks. 6. If not with Lego, then make make your own Kabah out of a milk carton. 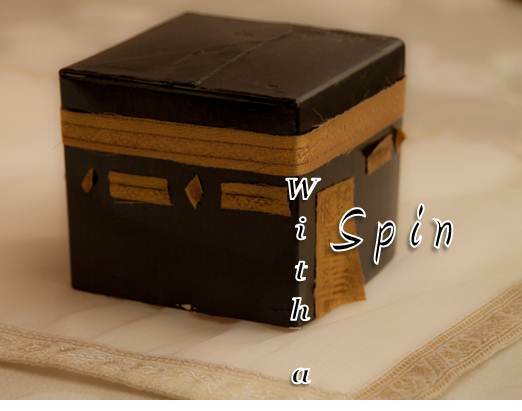 This is such a handy tutorial from With a Spin. 7. 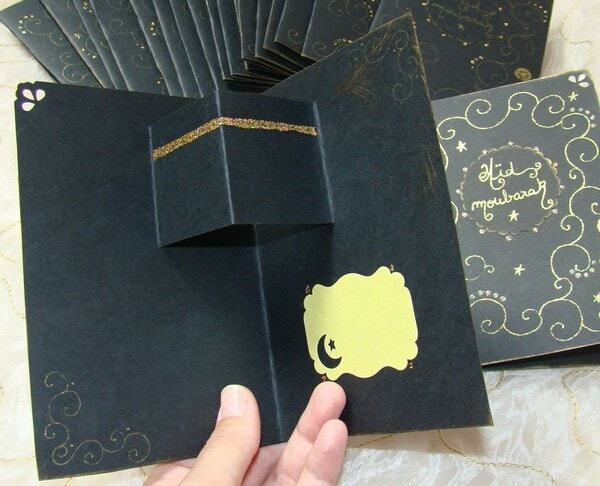 You could also make Eid/Hajj cards for friends, family or even neighbours. 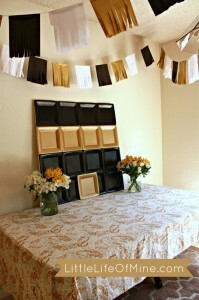 This pop up card from Jasmine and Co is such a neat idea. 8. If you’re busy, like we all are, why not purchase something. 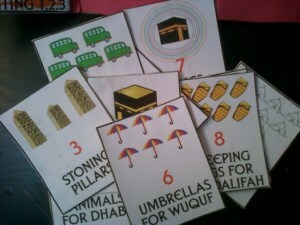 Most of the hard work is done for you in this Hajj kit from Hafsa Creates. It’s been created with the intention of teaching children about Hajj, it comes marked and labelled so all you have to do is assemble. Kit can be purchased here. 9. 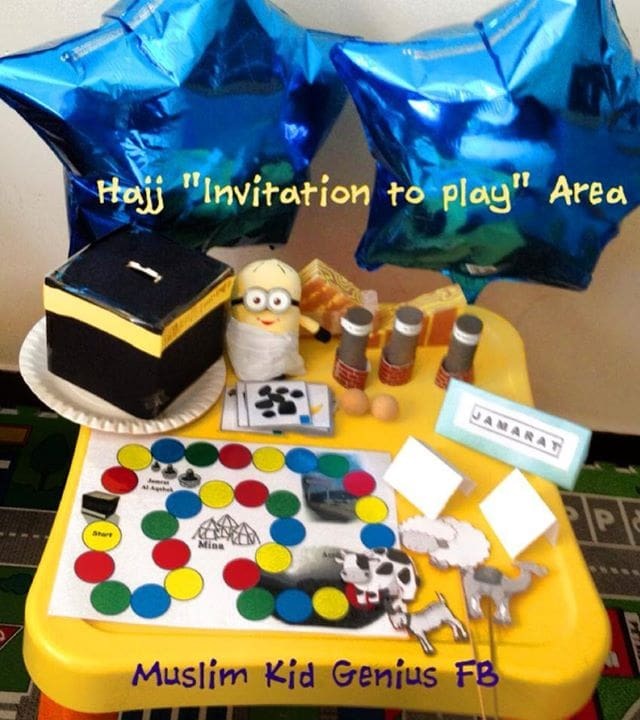 Set up a little Hajj play area during Dhul Hijjah like this creative one from Muslim Kid Genius on Facebook. I just love the minion in Ihram. Muslims Kid Genius on Facbook. Image from Pinterest. 10. Create an advent calendar, like this Hajj Advent Calendar, from yours truly. 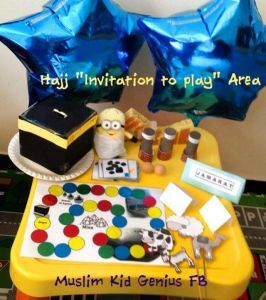 It’s a good way to get the really little ones excited about Hajj, even when they don’t understand much (I did this with the cookie monster when he was just over 2.5 years old). 11. 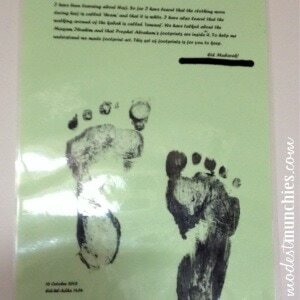 We made footprints as an activity in our calendar. Yes, I know it seems a little odd as a Hajj craft, but you can read about why and how it relates in my last post. 12. 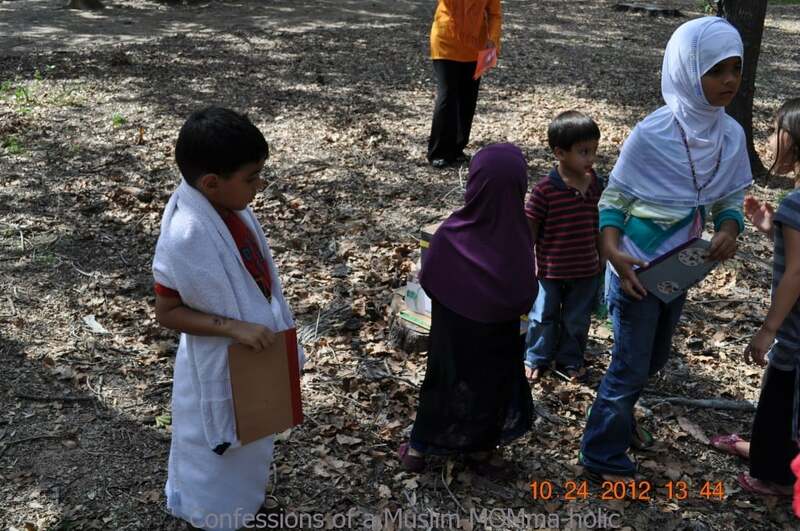 Get your friends or family together and have a mock Hajj like Confessions of a Muslim Mommaholic. Letting kids experience things for themselves is a great way to get them involved and learning. 13. This idea had me excited, I love learning that crosses subjects. Look at these Hajj learning cards that includes numbers and number sense. 14. Little sheep crafts seem to be all the craze at this time of year. 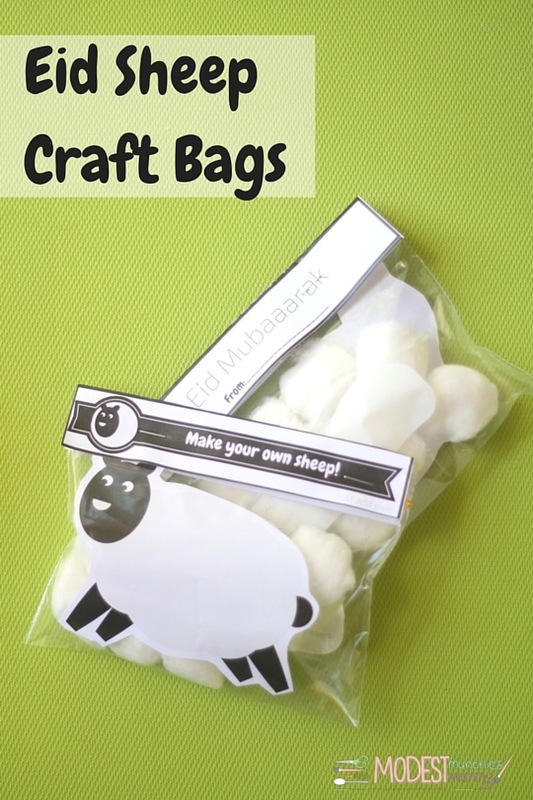 Check out my post with a free printable sheep and tags that you can use to hand out before Eid. This is a great book for children to learn about some of the history of the Kabah. Some additional information from the author. 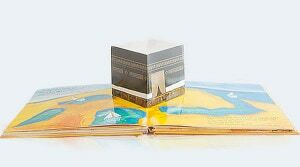 That pop up Kabah in the book is just delightful. 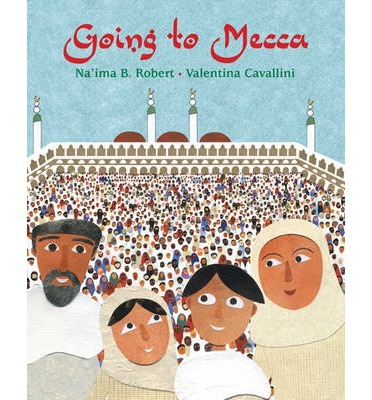 This book discusses some key aspects of Hajj, through an enjoyable comic like story. It includes scientific concepts, terms, questions to ask kids and much more. I don’t have a copy nor have I read this book myself, but it seems like a great book to give children an insight into the pilgrimage. 18. There’s also this one called The Kabah by Shaida Gutta. It is such a cute book, I’ll have to get my hands on a copy. 19. 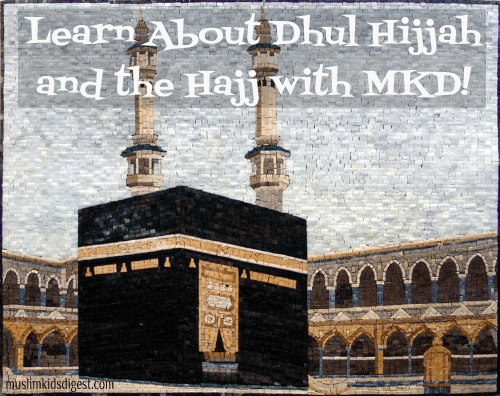 You can find a a great explanation on the Muslim Kid’s Digest site, What is Hajj? 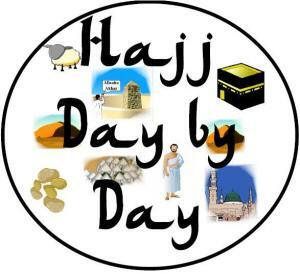 Or check out their new Hajj page, with great resources, specifically aimed at kids. 20. This is a really great video about the 5 Pillars and Hajj. 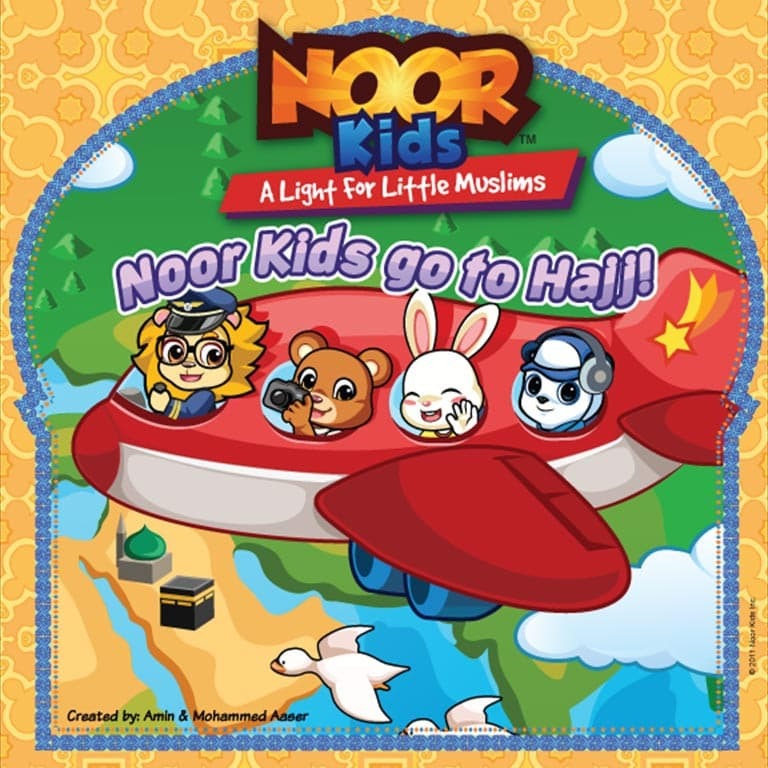 This was played constantly last Ramadan (2013) and my son loved it. 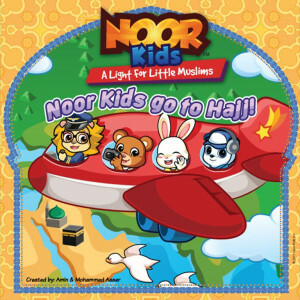 It’s also really informative and a great one to share with non muslims. 21. For older kids or even adults this is a great video explanation from National Geographic. Video here. A big part of celebrating and making things special for your kids is the decorations, have a look at some of these. 22. 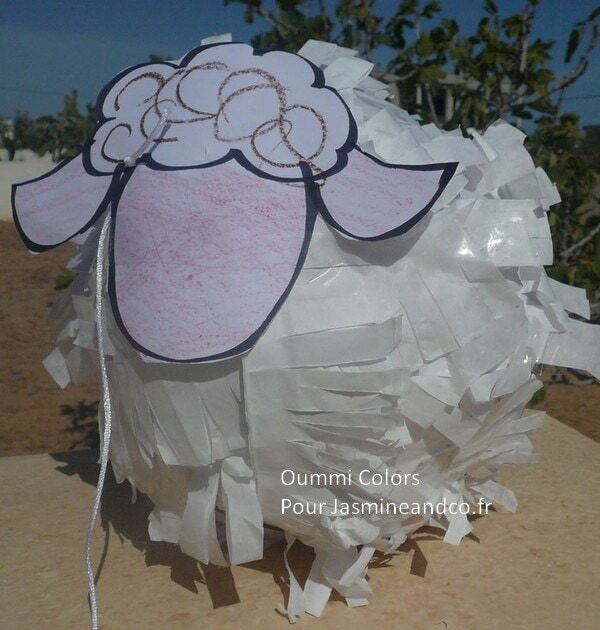 How about making a sheep pinata for an Eid party. Or even just for the kids on Eid day. I’m sure that would bring big smiles to their faces (especially if it’s filled with loads of lollies). 23. 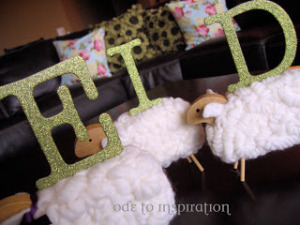 Or what about these cute Eid Sheep come from Ode to Inspiration. 24. I love this look of these decorations created for an Umrah Party from Little Life of Mine.. Black and gold just looks so classy, and I am totally in love with that paper plate Kabah. 25. 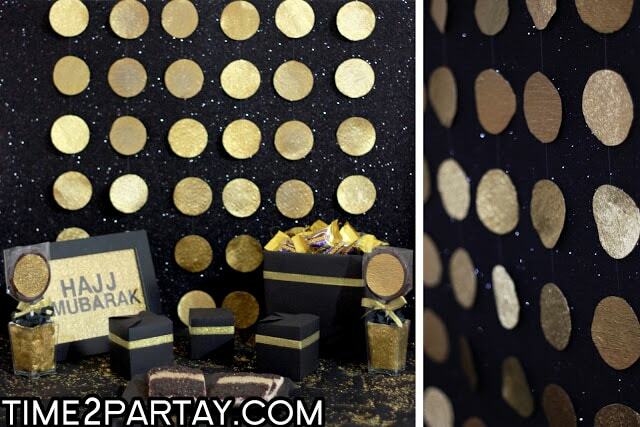 In keeping with the black and gold theme, here’s more decoration ideas for a Hajj/Eid party from Time to Partay. 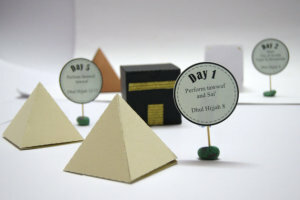 I just love the Kabah favour boxes. 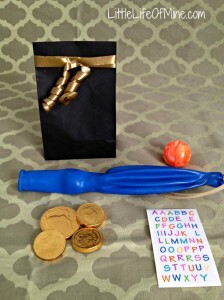 It’s always nice to give a little something to your guests when they leave. 26. 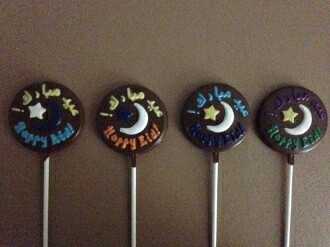 Even if you’re not having an Eid party I’m sure you want some ideas for handing out treats to loved ones. Have a look at these ideas from Little Life of Mine. 28. 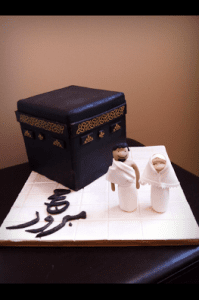 If all else fails you could always make a Kabah cake. 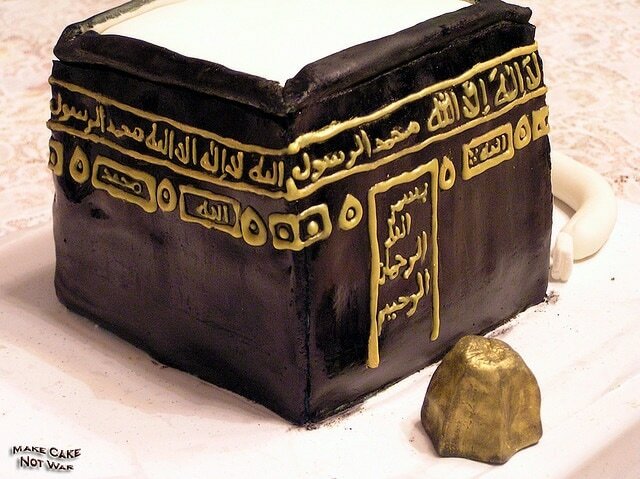 This is one of the sweetest Ka’bah cakes I’ve seen. Or this one. Look at that detail. 29. 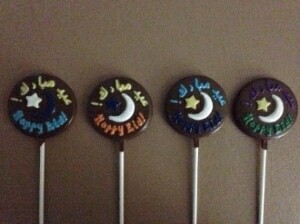 You can make Eid chocolates, candy or anything you can put in a Mold with these, from Eid Molds. 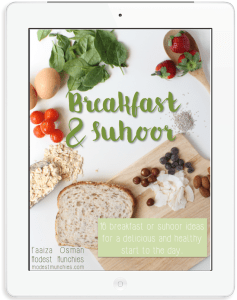 My friend Salam Mama and Life of a Mompreneur turned me onto them. I’ll have to remember to purchase some for next year. 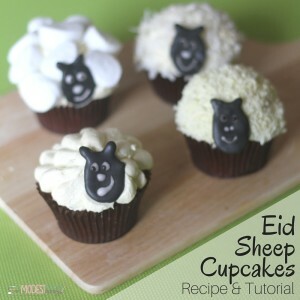 Or how about some sheep cupcakes? Check out my tutorial, video and recipe here. If all that inspiration wasn’t enough, here’s more ideas. Check out the Hajj for Kids on Productive Muslim by Hafsa of Hafsa Creates. 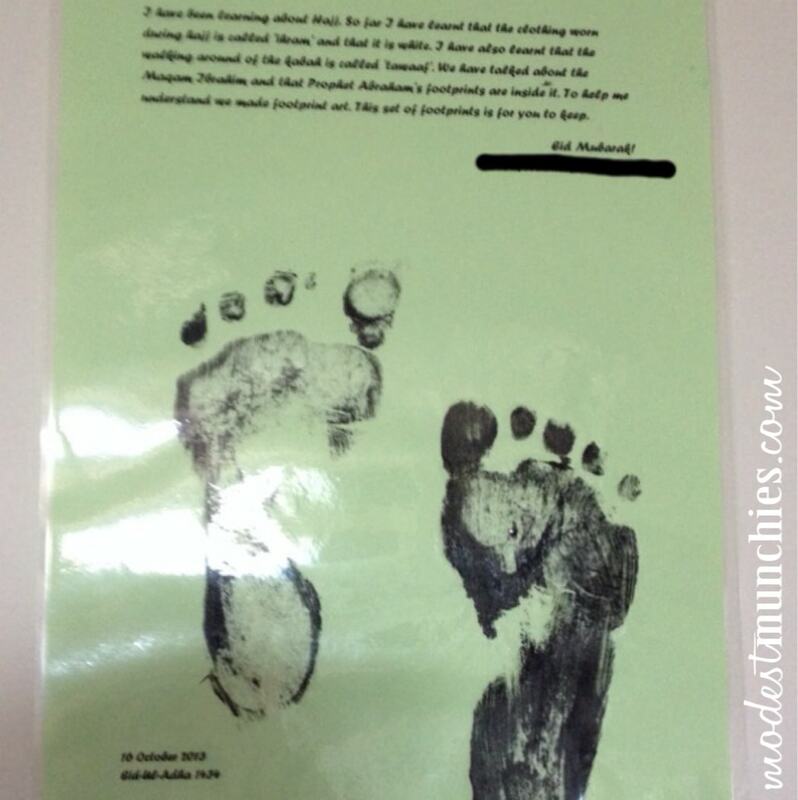 There’s also this post from Confessions of a Muslim Mommaholic with photos of her Hajj activities of years gone by. The green felt Kabah poster was the inspiration for my Hajj Advent Calendar. 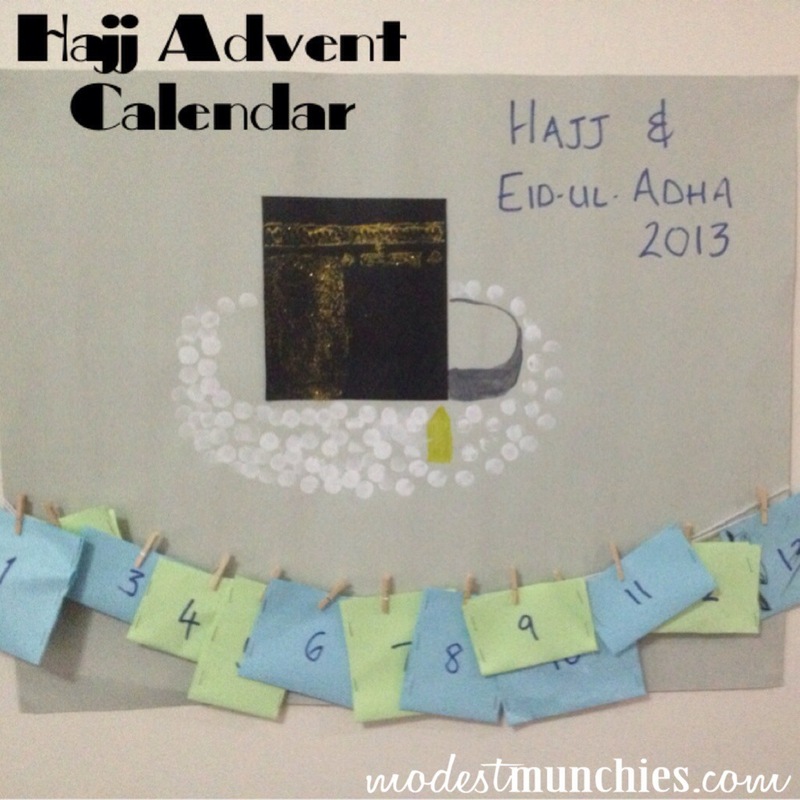 Don’t forget to follow me on Pinterest, I have a group Hajj board which I’m sure will be filled with more ideas. I hope you’re feeling inspired after this, I certainly am. 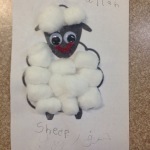 Edit: After this post went live, I found a few more great resources for teaching kids about Eid. There’s Sharing Eid ul Adha with Kids from My Halal Kitchen and 10 Different ways to Teach your Kids about Eid al Adha from The Muslimah Mommy. 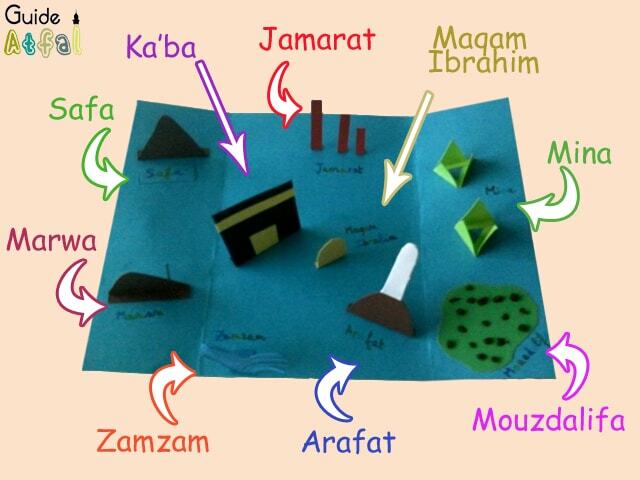 Awesome round up of Hajj activities, Faaiza. 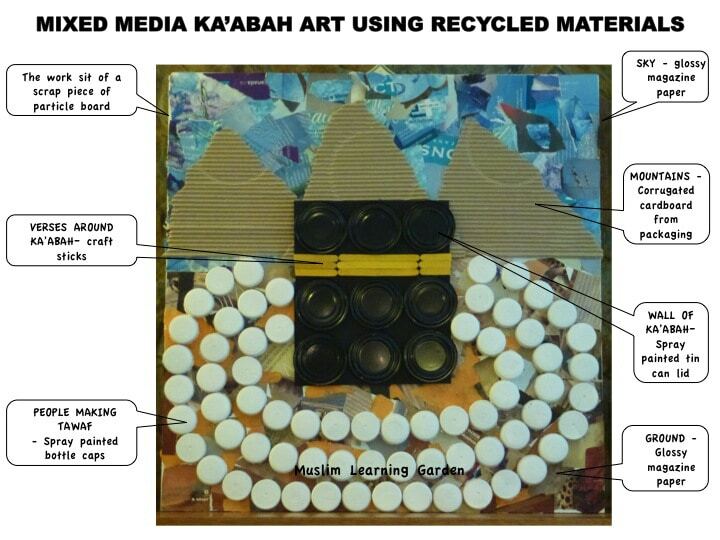 Thank you for including mu milk carton Kabaah. Take care. You’re welcome Hafsa, JazakAllah for all your support and PR work! May Allah reward you! May Allah reward you for your efforts Faaiza 🙂 This list is a gem! Thank you! And I can’t say it enough… Thank you for all your support! JazakAllah. MashaAllah, JAK for all the great ideas, I especially liked the idea to make a pinata of a sheep, my kids would love it!! Yes, it is such a cute idea. 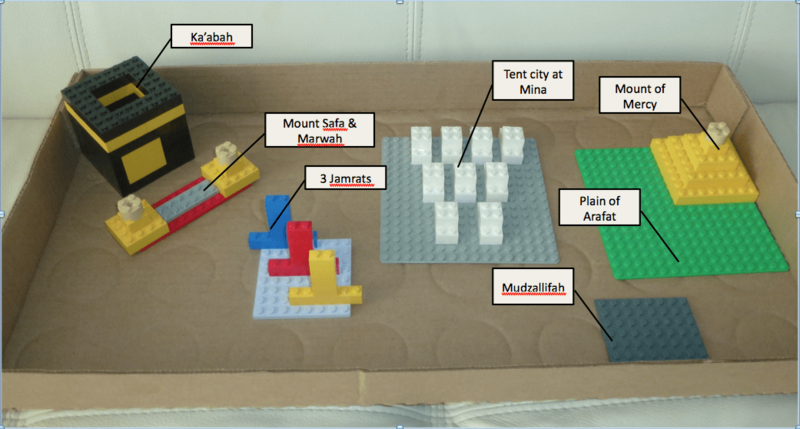 I made one with my son, in shaa Allah will get around to posting all our Hajj activities. Great list of resources for hajj. Jazakillah for including two of our work here. MasyaAllah Love the ideas.. Jazakallah..